The Russian defense minister called on the US-led coalition to join ceasefire efforts near Syria's city of Aleppo. MOSCOW (Sputnik) — Russian Defense Minister Sergei Shoigu called on the US-led coalition to join efforts with the Russian military aimed at normalizing situation around Syria's city of Aleppo where the number of suicide-bombing attacks on the Syrian army increased significantly in past three days. "We are urging the United States and their partners in anti-IS coalition to jointly take serious measures and use to a full extent their influence on all armed groups backed by them in this area, to convince all those ready to do so to join the ceasefire and normalize the situation in Aleppo," Shoigu said at a military-scientific conference in Moscow dedicated to the analysis of military action in Syria. 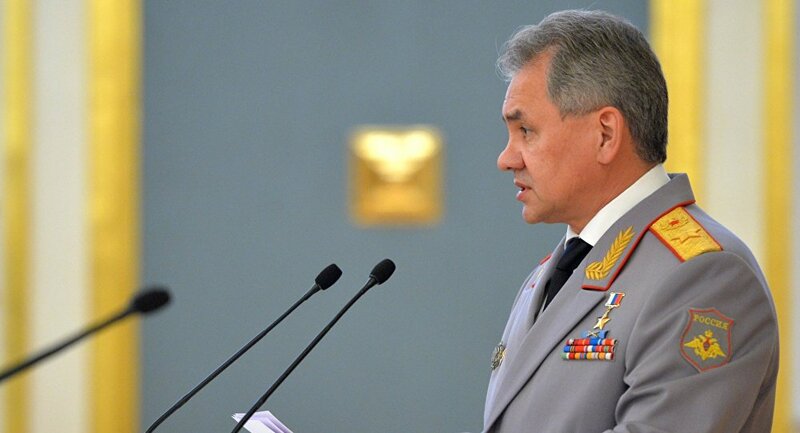 According to Shoigu, at least seven vehicles filled with explosives attempted to attack positions of the Syrian army near Aleppo two days ago. "Six of the vehicles were destroyed but one managed to break through defenses and exploded, killing a large number of Syrian soldiers," the minister said. At least seven suicide-bombers have attacked Syrian army positions using motorcycles, Shoigu said, adding that three of them succeeded.